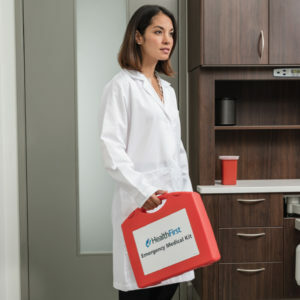 Over 40,000 dental offices are equipped with HealthFirst emergency medical kits, which help manage emergency preparedness and compliance in a cost-effective way. 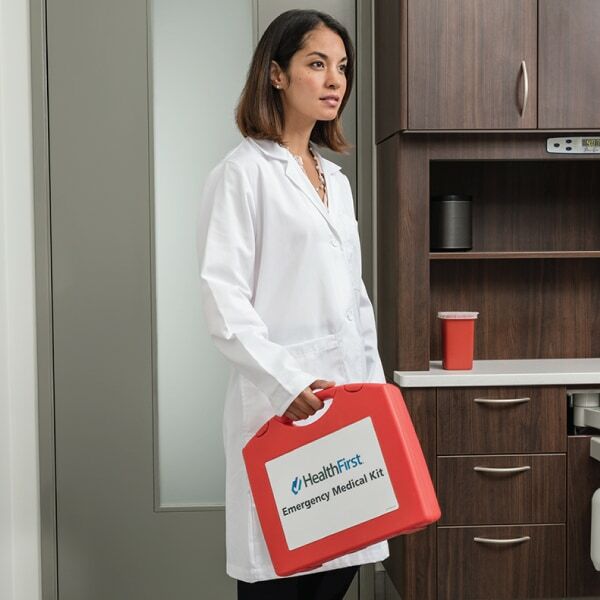 HealthFirst keeps each kit up to date through the Auto-Replenishment Service so that you can be ready when a patient is counting on you. Designed for the general dental practice to be prepared for medical emergencies and compliant with state regulations and the standard of care. The kits are well organized and align with recommendations from the American Dental Association (ADA), Journal of the American Dental Association (JADA) and the HealthFirst Medical Advisory Board. Provide organization and mobility to a practice’s emergency medications, devices, first-aid supplies, oxygen and AED. Contents organized in separate compartments in a mobile case and align with recommendations for general dentistry from the American Dental Association (ADA), Journal of the American Dental Association (JADA) and the HealthFirst Medical Advisory Board. Enable rapid response for advanced cardiac life support (ACLS), pediatric advanced life support (PALS) or basic life support. Medications and devices are appropriate for a dental office practicing IV sedation and are well-organized in separate compartments. The kits can carry an oxygen tank and an AED, providing a mobile solution for life-saving care. We are ready to help answer questions and provide recommendations on products and services for practice readiness. Call or leave your contact information to schedule an appointment.